On Thursday afternoon at 4pm Eastern Time I'm hosting a Practical Ed Tech webinar titled Fast & Fun Formative Assessments. I hosted this webinar last year, but a lot of things have changed for the better since then so I've updated it to better equip you for the 2018-19 school year. Whether you teach elementary school, middle school, or high school, you will come away from this webinar with fun formative assessment activities that you can do tomorrow. Fun Formative Assessments addresses the needs of teachers who don’t have computers or tablets for every student. And teachers who do have laptops, Chromebooks, or tablets for every student will learn some new ways to have students use those too. 1. 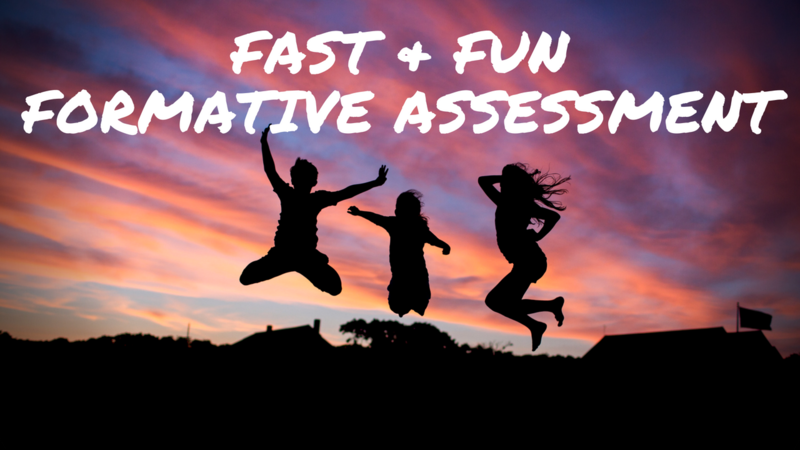 What makes a formative assessment valuable to you while also fun for students. 2. How to create fun formative assessments for classrooms that aren’t 1:1. 3. Why you should leverage students’ picture-taking habits for formative assessment. 4. Development of engaging formative assessment activities that use a variety of question formats. 5. How to include students in the creation of formative assessments. About this post: The sale of my professional development, webinars, online courses, and my on-site professional development services provides the funding to keep Free Technology for Teachers running. The resources that I feature in my online courses and webinars are free. However, there is a significant cost associated with creating, hosting, and managing the courses and webinars which is why I am not able to provide them for free.